This Damask tablecloth has been treated with a finish that protects it from dirt and stains. Liquids such as wine and coffee lie like dew drops on the surface and can then be wiped away with a piece of kitchen towel or an absorbent cloth. Grease stains from butter or gravy will not penetrate into the fabric but can easily be scraped off with a spoon. The tablecloth can then be dried off with a moist piece of kitchen towel. 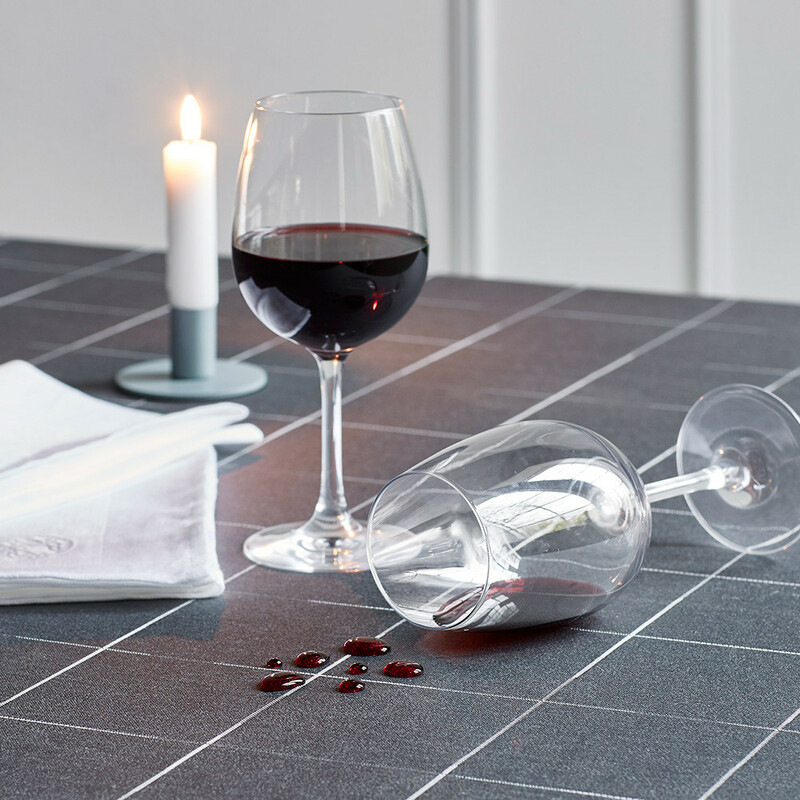 Be sure to remove any spillage quickly and avoid rubbing the stain as this may cause it to be absorbed by the tablecloth fibres. Stains, in particular wine and coffee stains, can penetrate the finish and must therefore be washed clean. Wash at 40 or 60C. The tablecloth can be dry-cleaned; remember to mention that it has been treated with a stain-resistant finish. The effect of the finish wears off with each wash but will protect the tablecloth for the first 10-15 washes. The finish will then gradually wear off, leaving the tablecloth very much like any ordinary, untreated tablecloth. Ironing the back of the tablecloth after washing can partially restore the stain-resistant finish. RUCOSTAR finish, as it is called, ensures that the Damask tablecloth can be used several times between each wash. This benefits the environment and ensures a longer life for your tablecloth.